Should You Cut Your Marketing Budget During a Recession? What does Sun Microsystems Mean? Why Social Media is Good for Advertising? The Importance of Social Media Marketing: Why You Should Learn and Master it. The study done in conjunction with the Economist Intelligence Unit - a global research and advisory firm on business intelligence based in London - entitled "Directors in the dock - is business facing a liability crisis?" brings forth the dangers of inefficient handling of corporate litigation cases, which could eventually jeopardize the company prospects by wasting the scarce resources. The report, based on interviews with 180 board level executives reveals that one in five companies have faced lawsuits targeted at individual directors or officers, including non-executive directors with employees and customers being the most likely source. However, Lloyds chose to keep mum when asked about any specific examples of such litigation cases. Alongside employees, the regulatory authorities also are increasingly becoming the source of lawsuits, says the report. "About 15 percent of companies seeing lawsuits brought by regulatory authorities is indicative of a change in the laws of the U.S. and the U.K. Besides, there's a prominent shift in the attitude of the enforcement authorities, which are now increasingly willing to initiate criminal proceedings against companies and its directors," laments Ward. "No matter what their size, location or industry, all businesses are facing increasing liability risks. Product recalls are now a daily occurrence, rising 50 percent in Europe alone last year. Shareholder activism is on the rise and a complex operating environment and new legislation serves to increase risks further," said Lloyd's of London Chairman Lord Peter Levene, said in a statement. Industry experts believe that these regulatory changes have led to enormous burden on both the time and finances of the boards. About 39 percent of those surveyed expect the growing risk of litigation will increase the cost of their products and services and stifle risk taking over the next three years. "On average boards are spending 13 percent of their time discussing litigation issues which is a huge drain on the leadership of businesses," Ward pointed out adding that this amount of time if saved could be utilized in attending to other business priorities. As per the study, boards have also reported sizeable increase in their litigation budgets, which they believe is indirectly affecting the customers. "The consequence is rise in cost as companies increase their use of legal teams and often have to increase the prices of their goods and services to make-up for the increased cost," explains Ward. According to a 2006 global survey of corporate counsel professionals commissioned by law firm Fulbright & Jaworski, companies with annual sales of $1 billion or more spend an average of $31.5 million on legal affairs. The number of lawsuits in 2006 soared to 556 cases for billion-dollar companies, with almost half facing 50 new suits annually, the survey said. Yet another survey from Fulbright & Jaworski revealed that about one-third of U.S. corporations face at least 25 lawsuits, and nearly one in five face more than 100 actions in U.S. court. About 40 percent of U.S. companies in the survey said they faced new lawsuits with more than $20 million at issue in the original complaint, a report published in RiskandInsurance.com, an insurance advisory portal based in Horsham, PA said quoting the F&J 2007 survey report. Citing an anecdote from one of the survey respondents Ward says that the rising cost in pharmaceutical products is self-explanatory of the survey finding. "People wonder why drugs are so expensive and why the cost of healthcare spirals very often. It's the result of a legal system that won't place limits," said Ward quoting the general counsel of a US-based biopharmaceutical company interviewed by Lloyds. Industry veterans believe corporate boards could see a huge liability crisis on the horizon for businesses if they fail to recognize and prepare for risks in their industry, especially the ones in the financial sector. "Businesses need to put in place an effective infrastructure to take pressure off of the board as they are competing with a number of other business priorities," says Ward. Effective infrastructure, Ward says, will involve creating a strong in-house legal team with clear lines of responsibility and accountability and monitoring & assessing the risk environment in a more structured way. "Using the resources at hand more effectively - monitoring media in a more structured way, looking at legal activity elsewhere, seeking advice from government bodies and risk & management consultants are some of the steps that organizations could take to mitigate such risks," suggests Ward. Interestingly, corporate boards also are of the opinion that the U.S. style of grievance culture is fast spreading across Europe and Asia, which according to them has again contributed to a worldwide cost increase. "U.S. has witnessed the emergence of a society in which most of the people suffering from any kind of personal injury are found to be seeking compensation or damages through litigation. Evidence suggests that the cost and extent of litigation is highest in U.S., other regions are catching up fast," says Ward. According to Lloyds survey report one way of assessing the potential impact of a more litigious culture is to examine its economic impact on the U.S., which has become used to such an environment. A U.S. Tort Liability Index, by the Pacific Research Institute says that the high cost of the US tort system has made products more expensive. States with high tort costs experience lower standards of living and slower economic growth, the Liability Index pointed out. Additionally an annual survey by Tillinghast, an insurance consultancy, on U.S. tort costs and trends revealed that the U.S. tort system cost estimates were $ 247 billion in 2006, which translates to $ 825 per US citizen. Interestingly in 2005 the tort system cost stood more at $ 261 billion in comparison to 2006. However, Tillinghast predictions for the year 2007 and 2008 are a bit scary. It says that tort costs will rise about 2.5 percent in 2007 and 4.5 percent in 2008 reflecting increased litigation related to subprime mortgages, among other trends, a report published in Insurance Information Institute said. Despite recent market turmoil and news of big corporate losses, finance professionals have nothing to lose. On the contrary, they’ve maneuvered to pocket bigger paychecks with the average executive recording a salary hike of 5 percent this year. Compare this with CEO pay growth of a mere 1.3 percent during the same period. Move over Zoe Cruz. The former co-president of Morgan Stanley, who is or perhaps was the bestknown woman investment banker, will need to make way for Manisha Girotra, 38, managing director and chairperson of UBS (Union Bank of Switzerland) India. The Chandigarh-born Girotra received a master's degree from the Delhi School of Economics, joined UBS in 1998 and infiltrated India's female-dominated preserve of investment banking by scoring some of the biggest cross-border M&A deals in the country. These include such deals as the $12 billion Vodafone-Hutch, the $6 billion Novelis-Hindalco, and the $1.2 billion Whyte & Mackey-UB (United Breweries), all of which contributed to her listing as one of the top 50 Global Women to Watch by The Wall Street Journal. Also touted as the most talked about woman in investment banking circles, industry analysts identify Manisha Girotra's name as synonymous with M&A deals in India. "If it's a major M&A deal, it's got to be from Girotra's turf. And if it's investment banking in general, it's Manisha Girotra again," says a senior executive with United Breweries Group who preferred not to be named. Her popularity ratings have been soaring ever since she sealed two high-profile deals: one with Kumar Mangalam Birla, the reserved and conservative CEO of Hindalco, and another with UB's Vijay Mallya, considered the most flamboyant, wealth-flaunting CEO in India. After a year at the London Business School, Girotra worked at several UK-based banks, including Grindlays and Barclays, before joining UBS. Banking is a family affair for Girotra. Her father, Satish Girotra, ran western India and later northern India operations for the UCO Bank in the 1980s. Her brother works with ABN Amro in Singapore. And her husband, Sanjay Agarwal, is the managing director and head of global corporate finance of Deutsche Bank India. At UBS, Girotra is pursuing two objectives: raising the profile of UBS in India by transforming UBS into one of the top three investment banks in the country, and making UBS the best place for people to work. In 2007, with growing corporate activity and a booming market, UBS leapfrogged rivals such as Morgan Stanley, JP Morgan, CitiGroup and Merrill Lynch to join the top ranks in M&A market share in India, up from the seventh position in 2006. (According to a Thomson Financial research report, UBS takes the lead in the M&A table in India with a market share of 23.04 percent in terms of the volume of transactions during the first six months of 2007. (However, a report from IndiQuest research, a firm providing research and analyses of the market, puts the UBS market share at 54 percent.) Describing her initial years at UBS as tough, Girotra says she had her hands full winding up some long-pending deals. Her toughest, she says, was the disinvestments of the state-owned petrochemicals firm IPCL, which earned the down-to-earth CEO the reputation as "an unrelenting tough deal maker" from her opponents in India. "The IPCL transaction was languishing for more than two years, and by then many bidders like Dow Chemical had gone away," Girotra recounts. "A lot of ministries were involved, a lot of changes happened in government and a lot of justification had to be provided on the valuation, bidders, processes and methodology. Though it took five years, eventually we emerged victorious and never did we lose our cool." Today she brushes aside talk of being a woman in the old boys' club of banking. "You are only as good as what you produce," she observes. "Twelve years ago, nobody would shake my hand; they would just wish me a hello, much in line with etiquettes of the Indian tradition, where men would greet a woman with words rather than offering their hand." She laughs and adds: "Most took me as someone's secretary who is there to take notes. When they asked me when they would get to see my boss, I would tell them there was no boss." She says that most of her colleagues now are women; be it the HSBC Bank, JP Morgan or Morgan Stanley. Girotra thinks UBS has been lucky in identifying cross-border M&A trends at an early stage in India. She worries, however, that the days of smooth sailing may be over. "Now competition is getting fierce with more and more global banks making a foray into the Indian market. If we are to survive, we need to be more innovative and present ourselves in a unique way," Girotra points out. Nevertheless, she says, India Inc. is poised for more of the crossborder deals now than before. For Indian companies there is a manifold increase in their desire to become the next major multinational out of the country. "The thinking among the Indian CEOs is, ï¿½ï¿½why should all the MNCs be from some-where else? If a small country like Finland could produce a multinational company such as Nokia, why can't India have the next financial powerhouse?' This thinking underlines the fact that we have lots of business potential in the future." Talent scarcity and retention are her biggest challenges now, as she looks to double the company's workforce in India from 1,600 employees to about 3,000 this year. Her other big job includes integrating the assetmanagement business UBS recently acquired from Standard Chartered and expanding the company's wealthmanagement business in India. So how does she plan to meet these challenges? UBS is treating its Indian employees as global workers. "If an Indian employee desires to work abroad, it shall be perfectly OK, given a vacancy exists there," she says. The company is also striving to project itself as a family-oriented work place on par with the entire service sector in the country. "Opportunities for global exposure, alongside a homey atmosphere, are our USP [unique selling proposition]. Besides, compensation and wage bills have also gone up in India, in line with the global wage bills, which is a significant development," she explains. Girotra sees robust M&A activity in the coming years and calls upon CEOs across the globe to be a part of this growth. The credit crunch affecting the U.S., she thinks, will be a boon for emerging markets such as India and China. "Companies have a higher risk appetite for emerging markets, so there will be a redirection of funds to India and China, as was the case earlier with Korea and Taiwan," she says, adding, "If a company wants to be a dominant player in the next 10 or 20 years, India is the market, and just as we've seen huge growth in the equity sector, the same will be seen in the debt markets as well." Is Six Sigma a hard-sell now? From Jack Welch of GE to Larry Bossidy of Allied Signal, from Motorola's Robert Galvin to Mikel Harry of Six Sigma Academy, most of the CEOs sang the Six Sigma song in chorus and eventually did come up with some cost savings, say the myriad industry reports. However, there seems to be a mixed reaction from quality experts on the effectiveness of 6S and its applications. While some management professionals feel that Six Sigma hasn't lost its sheen yet and is still serving the purpose it was initially designed for, many are opposed to the idea and consider 6S as a mere appraisal tool which has been over-rated mostly as a result of marketing and overexcited public relations. They say that the days of 6S glory are over and its' no more an easy sell now. Some of the quality experts are also of the opinion that Six sigma hardly has any role to play in this era of invention and innovation, while others feel that Six Sigma works very much in synchronization with innovation and hence can be a tool to effectively execute innovative techniques. "I am hard pressed to find a company that is not engaged in new product or service development in some way. To be successful, a company has to know how to do both - innovate and execute," says Mike Nichols, prominent quality analyst and president of American Society for Quality. Nichols believes that the better a company becomes at executing, the more opportunities it opens up for innovations. Six Sigma as well as Lean and Process Management can help any organization execute better, meet and exceed customer's expectations, he says. According to Benner, it is easier to measure improvement in the ongoing current activities - selling today's products to today's customers - than it is to measure brand new activities. "It is difficult to measure the potential sales in the future of new technologies that don't yet exist, products that have not yet been developed, for customers you don't yet know. So the shift in attention to measurable improvements can dampen innovation into new areas," says Benner. In a research done with Harvard Business School professor Michael Tushman, Benner has found that process management can drag organizations down and dampen innovation. "In the appropriate setting, process management activities can help companies improve efficiency, but the risk is that you misapply these programs, in particular in areas where people are supposed to be innovative," notes Benner. "Brand new technologies which produce products that don't exist are difficult to measure. This kind of innovation may be crowded out when you focus too much on processes you can measure," she says. Herve Wilczynski, an expert on overall performance improvement for asset intensive industries and principal with Booz Allen Hamilton, however, corroborates Nichols view saying that Six Sigma is useful to focus organizations to create an environment for positive change. "Six Sigma is very compatible with innovation and invention when applied appropriately. 6S, at its heart, is about eliminating bad outcomes of a process through the use of hypotheses, tests, and experimentation. 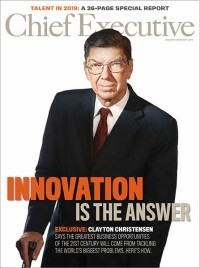 The rigorous application of hypothesis, experimentation, and testing is at the core of the innovation process," he says. However, Herve says that any improvement program that focuses on driving value, rather than dogmatic adherence to a methodology, will be successful. "There are many examples of successful Six Sigma applications. However, too often companies push the Six Sigma methodology over impact. It becomes more about the process than the result which is ridiculous," Herve points out. He says that losing sight of the overall objectives of creating value can result in a series of tactical projects strung together that fail to connect into a strategic high impact program. Prof. Benner feels that once Six Sigma has been implemented in an organization and the initial benefits have been achieved, it is increasingly costly to find more opportunities for improvement, and these improvements may not yield the benefits of the initial improvements. In addition, if all the companies within an industry are undertaking similar Six Sigma-type improvements, it can be hard to gain any upside advantage from Six Sigma, she says. Commenting on the limitations of Six Sigma and its applications, Benner says that while ground breaking innovation is not possible with 6S, she says that incremental innovation can be achieved. "One exception will be incremental innovation such as product extensions (for example, multiple colors of post-it notes are innovations, but very different than a groundbreaking radical innovation like the ipod). Such incremental innovation may actually increase because it is easy to measure in the short term, and managers can demonstrate improvement in metrics like time-to-market or costs," adds Benner. She thinks that 6S practices can be valuable in areas like manufacturing, where the activities are routine (and likely to stay that way) but need to be more efficient. However, she says that these practices can be "dangerous" in areas of organizations that are responsible for innovation or creativity, such as research or new product development, or in organizations that need to be consistently innovative to compete in an industry," Benner points out. In an interview to Business Week, Tom Davenport, management professor Babson College feels that the days of the 6S are over. He says that Six Sigma was developed as a systematic way to improve quality, but the reason it caught fire was its effectiveness in cutting costs and improving profitability. That makes it a powerful tool-if those are a company's goals. But as innovation becomes the cause du jour, companies are increasingly confronting the side effects of a Six Sigma culture," he says adding; "process management is a good thing. But I think it always has to be leavened a bit with a focus on innovation and [customer relationships]." Brushing aside criticism that 6S inhibits rather than encourages innovation, Forrest Breyfogle, CEO Smarter Solutions, says: "this could be the case in an organization's Lean Six Sigma deployment, where focus is given to the search for projects and their completion. In these organizations, primary focus can be for black-belt or green-belt certification upon project completion. With this deployment style, sight of the big picture can be lost." However, he says that, there can be a promulgation of this innovation-stifling belief by those who feel threatened. Some are concerned by the additional level of accountability and are looking for ways to undermine the deployment's implementation," Breyfogle remarks. Six sigma is all too often bogged down in bureaucratic thinking and behavior, feels David Taber, President of Taber & Associates, a firm specializing in marketing consultancy. "It becomes another reason to slow things down, which is an ironic perversion of 6S goals and origins. 6S in the hands of a blockhead merely gives the blockhead another level of influence," he says. According to David Taber, six sigma falls apart in setting the direction and tone for innovation. "I've never seen a truly creative new product emerge from six sigma processes. Said another way, six sigma will not help you innovate per se, it will help you execute innovative ideas," he says adding that the right answer here isn't to blame six sigma, but weak employees. Experts such as Benner consider 3M, the diversified technology company, provides an important case study, which illustrates the sense in which Six Sigma can "run its course". She says that over time the opportunity for large cost and efficiency improvements from Six Sigma decreases, and the focus of the organization may need to shift to innovation, which requires activities that often contrast with the measurement focus and process orientation of Six Sigma. A BW report indicates how 3M, under CEO James McNerney, one of the strongest proponents of 6S, lost its core focus on innovation and creativity because of its strong affinity with 6S applications. Art Fry, the inventor of Post-it-note, squarely blames 6S applications for 3M's recent lack of innovative sizzle. Innovation, he says, is "a numbers game. You have to go through 5,000 to 6,000 raw ideas to find one successful business." Six Sigma would ask, why not eliminate all that waste and just come up with the right idea the first time? That way of thinking, says Fry, can have serious side effects. For George Buckley, the current CEO of 3M, efficiency programs such as Six Sigma are designed to identify problems in work processes-and then use rigorous measurement to reduce variation and eliminate defects. When these types of initiatives become ingrained in a company's culture, as they did at 3M, creativity can easily get squelched, says BW. After all, a breakthrough innovation is something that challenges existing procedures and norms, feels Buckley. "You cannot create in that atmosphere of confinement or sameness," Buckley told BW. "Perhaps one of the mistakes that we made as a company-it's one of the dangers of Six Sigma-is that when you value sameness more than you value creativity, I think you potentially undermine the heart and soul of a company like 3M." Wall Street though apparently favored James McNerney's initiatives with an average of 22% profits reported during his reign, his successor Buckley has also been able to spin up 3M's performance by a reported sales figure of $23 billion and profits totaled $1.4 billion in his first year at the top office. "In 2007, Buckley seems to have satisfied many skeptics on the Street, convincing them he can ignite top-line growth without killing the James McNerney-led productivity improvements," says the BW report. At 3M, shares are up 12% since January. Getting back to the erstwhile lost focus, Buckley seems to have opened the faucet for innovation by hiking the R&D budget, which company insiders say was mostly remained constant during McNerney's tenure. According to company estimates, the overall R&D budget will grow 20% this year, to $1.5 billion. According to BW, Buckley has also loosened the reins a bit by removing 3M research scientists' obligation to hew to Six Sigma objectives that is a clear sign of disowning 6S initiatives to a large extent. When contacted, 3M spokesperson Jacque Berry told CE Online that the CEO and other executives were not available for a comment at the moment. The proponents of the management tool refuse to budge and argue that 6S is still very much functional as was the use earlier. Quoting a report from isixsigma magazine, Nichols says that the figures show Six Sigma is still effective. The isixsigma analysis shows that 82 of the top 100 fortune companies are using Six Sigma and the results are staggering. According to the research, "companies with a corporate Six Sigma deployment save an average of about 2% of total revenue in cost savings each year." Based on these calculations, it can be clearly stated that Six Sigma saved the Fortune 500 about $75 billion in 2005," says Nichols. A report published in isixsigma Magazine also shows that Six Sigma has saved Fortune 500 companies over $400 billion since 1987. Of the top 500 public companies in the United States, 53 percent have deployed Six Sigma to some degree, while 47 percent of Fortune 500 companies that are yet to embrace Six Sigma have $500 billion that could potentially be put to their bottom lines. However, when contacted, companies such as Honeywell, Bechtel, Cummins and others, which boast of heavy 6S execution and implementation, failed to respond to queries from CE Online. Even the American Society for Quality was non-committal on facts and figures and so were the industry experts and academicians. Michael Tatham, CEO and founder of The Tatham Group Inc., which helps companies implement business-process innovation strategies, laments that 6S is being used everywhere, from retail companies to service companies. "It does help calibrate and fine-tune processes once they're in place, but it won't redesign them or determine which are necessary in the first place. It's a bit like trying to chop down a tree with a scalpel," he says. He says that 6S wrongly forces companies to think of themselves as a collection of departments so they can pinpoint the scope of their work. "In this on-demand era, companies must respond with flexibility and speed to any customer demand, market opportunity, or external threat. To do this, companies must transcend organizational boundaries and integrate end to end," remarks Tatham. For Tatham, Dell Computers, became a PC leader not by implementing Six Sigma, but by becoming market-driven. "Dell lets customers design their own computers, works with corporate IT people to tailor its offerings, has a reputation for being flexible and user-friendly, and offers unrivaled customer support," says Tatham adding that Six Sigma doesn't improve the customer experience. Companies need to figure out what their customers want and need. "Southwest Airlines figured out that people wanted inexpensive, no-hassle travel, and it's trouncing the competition." Quality experts say that a program like Six Sigma provides a concerted way to find opportunities for improvement and implement them, involving data to measure improvements, sophisticated statistical techniques, and people who have been trained to analyze data and solve problems. "Once processes are improved, people in the organization are required to follow these standardized processes to ensure that efficiency improvements are realized," says Benner. Arthur Swersey, Professor of operations and research from the Yale School of Management, feels that there could be some other quality management tools, besides Six Sigma, which can be highly fruitful in an innovating industry. According to Swersey, Six Sigma which currently in vogue is not just the only one approach to quality management. He says that there are other tools which can be of immense help in a given situation. "Certainly quality management approaches such as statistical process control are more useful in on-going, repetitive manufacturing processes, but these concepts are still applicable in case of new products and startups," says Swersey. Analysts lament that quality programs such as Six Sigma are often considered as a cure-all methodology which shouldn't be the case. "Six Sigma was never a cure-all. But it definitively can make a strong contribution to help stabilize processes in fast-growing environments. An innovative economy will naturally coexist with increased business complexity as companies expand their scope and scale," says Herve adding: "we typically use our smart customization framework to define the optimum delivery model, and strike the right balance between what needs to be standardized or customized (in terms of product, fit for purpose processes, skills, structure, information technology, etc.) based on market needs." Professor Swersey is also of the same opinion. He says that to consider Six Sigma as a cure-all is completely wrong. "Firms often look for a magic bullet. There is none. Improving quality takes commitment and hard work. That has always been true," he says. Experts further point out that the key to success is not how many people are trained or how many projects are undertaken, but how well the improvement program is supported and how well it raises the right questions. "We get answers to the right questions when the quality management process finds out where the value can be created and analyze the barriers that exist in the way to success," says Herve. "The magnificent results achieved with Six Sigma have more to do with how the tool was implemented, besides with other factors such as the kind of political environment existing in an organization," Herve explains further. Despite all the positive talk on Six Sigma, experts argue that there are issues about the forceful deployment and application of the management tools. Quality observers think that the suppliers shouldn't be forced to adopt Six Sigma, which can otherwise have serious repercussions. "Issues arise when the conversation is one-sided and suppliers are forced to deliver an artificial quality standard without regard to the underlying capability of the production process. Suppliers should be treated as partners to improve their quality through the sharing of information and ideas. This creates a healthy and robust supply chain that can improve over time and provides the suppliers and customers with long-term benefit," says Herve. He feels that considerations must be factored in to account for inherent capability; but if a small business is not able to deliver high quality inputs to their customers, then it is the customers who have the right and obligation to shop around to see if these can be provided by another supplier. For Professor Swersey the term "forcing" is the problem. It takes training. "Suppliers need to understand the benefits and buy-in to the program rather than being forced to participate," opines Swersey. American Society for Quality feels that any improvement effort with suppliers will only be successful if it is presented as a win-win for both organizations. "Validating your suppliers' quality improvement programs should be part of your supplier acceptance criteria and then you should be monitoring their performance to your customers' standards," says the ASQ president Nichols. According to him the problem comes when the small business firms do not have the resources or the capability to undertake advanced analytical and problem-solving techniques. In such a situation, he says, that an organization needs to make a decision wisely whether to continue with the existing supplier or to go for a new one. "My experience is, the cost of changing suppliers far exceeds the cost of working with the supplier to help improve their quality," he says. Larry Smith, National Director, American Society for Quality, says that most of the organizations operate in complex cause and effect systems. "Some factors associated with success are external to an organization, such as exchange rates and other legacy costs, while other factors such as organization's mission, values and guiding principles are very crucial as well," he says. According to Smith organizations prosper when each person is valued for his/her ideas, experience, and knowledge; people work together in cross-functional teams with a shared vision; and these teams utilize effective and efficient processes to get their work done. "There are no "silver bullets." Six Sigma provides powerful statistical tools and software to unlock and resolve problems," he says, however adding that Six Sigma operates after a problem has already occurred. "More powerful is valuing and empowering employees in systems that prevent problems or issues before they occur." While quality experts such as Mary Benner feel that small businesses find it difficult to adopt Six Sigma owing to its high cost and investment, Herve Wilczynski says that adopting Six Sigma does not have to cost much. He says that Six Sigma is a methodology to bring problems to light and can be practiced and learned by anyone. "Some people mistakenly assume they need a large infrastructure to implement Six Sigma, when all they really need is some training for their people and little mentoring from experts," says Herve. He feels that the key to success is to embed Six Sigma (i.e., continuous improvement and problem solving) in the DNA of an organization. "It must be the way for doing business; especially for the ones who do not require significant overhead cost to administer," asserts Herve. However, Benner reiterates Six Sigma is costly to adopt. It is likely that some organizations, especially the smaller ones, fail to adopt Six Sigma," she says adding that Six Sigma is just one version of a set of practices focused on improving business processes. Organizations may have already taken steps to improve their processes without necessarily adopting Six Sigma. Thomas Pyzdek, Quality Digest columnist and a six sigma consultant also feels that small companies might have a more difficult time effectively implementing Six Sigma. "With Six Sigma, you're asking for a commitment to an infrastructure," he explains. "Black Belts [the work horses of a Six Sigma program] are rotating full-time positions. We say that Black Belts should make up about 1 percent of a company's employment; of course, the company works up to this. But, by virtue of the fact that Six Sigma requires this sort of commitment, small businesses would have a hard time doing it," he says in an article for Quality Digest. Pyzdek estimates that companies with fewer than 500 employees would struggle with implementation. A 6S Green Belt who worked with GE for several years revealed that 6S requires a lot of cash to implement to a level where it's actually fruitful. He says small-mid range companies don't even get concerned over it. "Its like a Lexus or Merc - everyone wants to own one but only the creamy layer ends with one," he said on condition of anonymity. Even for Taber, Six sigma does not scale down well at all. He says that for a 6S application to be successful, the company needs to have large production runs, and predictable cost structures. "In small, flexible, innovative companies in the US, it's really hard to make six sigma pay," he remarks. Commenting on the cost for installing Six Sigma techniques at an organization, Professor Swersey believes that all the quality programs and the benefits must outweigh the costs. "The best Japanese firms believe "quality is free" meaning that the incremental benefits of improving quality exceed the incremental costs. This is true or nearly true if the quality efforts are properly designed and executed. Obviously all quality programs are not equal and the poorly designed programs will not be cost effective," he says. Quality observers lament that Six Sigma and its applications have not been used optimally. Herve says that traditionally Six Sigma only sought to reduce variability; however it could have been used to highlight performance variability as a root cause and seek to improve it by other means. "There is always room for common sense. But it is fair to say that if management doesn't care to measure or fix issues then applying a methodology won't solve the problem," Herve points out. According to Prof Swersey one of the faults of Six Sigma (and previous total quality management programs) was attributing every good idea to the program. "In operations management there are a range of tools and approaches that are important: process analysis, reengineering, inventory management and supply chain management, forecasting, and so forth. Quality management is an essential part of good operations management but just an aspect of it. I think the current emphasis on lean/Six Sigma begins to address this realization," he says. All the discussions apart, Professor Swersey feels that ultimately what matters is how a quality program is executed. "Its not about which quality management approach has to be adopted, it's about how the quality program is executed. "Quality programs come and go. In perhaps five years, there will be something new and Six Sigma will likely have lost most of its steam. But the important point is that there is a very long history of quality management beginning in the 1920's and 1930's that has resulted in well established principles that are timeless. It is the emphasis on quality that is important not the particular brand of quality that is currently receiving the most attention," Professor Swersey remarks.